It is interesting to know that the Imams (A) foretold the birth of this noble lady and her presence in Qum many years before her birth. The writer of the above tradition says that Imam al-Sādiq (A) gave these glad tidings even before the birth of his son, the 7th Imam, Imam Mūsā al-Kāđim (A), the father of Lady Fatima Masuma (A). Since Imam al-Kāđim (A) was born in 128 A.H and Lady Fatima Masuma (A) in 173 A.H; this speech was made at least 45 years before her birth. Therefore, the good news of her birth was foretold more than 45 years before she was born! According to certain traditions, some of which are mentioned below, Lady Fatima Masuma (A) was born on the 1st of Dhul Qa`dah, 173 A.H in Madina. 1. `Allāmah Bahrānī in his book `Awālim al-`Ulūm, vol. 21, p. 328. 2. Shaykh Mahdi Mansūrī in his book Hayāt Al-Sadāt, p. 10. 3. Dr. Muhammad Hādī Amīnī in his book Fātimah Bint al-Imam Mūsā al-Kāđim, p. 21. 4. Ahmad Zādeh in his book Zendegānī Hadrat Mūsā Ibn Ja`far, vol. 2, p. 375.
i. If we study the details of Imam Mūsā al-Kāđim’s (A) life we see that on the 25th Rajab 183 A.H he died in prison in Baghdad. We also know the minimum amount of time that he spent in prison was four years and during this imprisonment, his family was in Madina. So it cannot be possible for Lady Fatima Masuma (A) to be born in this same year of 183 A.H.
ii. Also, it is well documented that Imam al-Kāđim (A) had more than one daughter named Fatima, and that Lady Fatima Masuma (A) was the eldest Fatima (Fātimat al-Kubrā), therefore she could not have been born in the same year as the year of her father’s death. From the foregoing, it can be seen that it is not possible that Lady Fatima Masuma (A) was born in the year 183 A.H, and the authors who have quoted this date have made a mistake, (either in counting or writing) and should have recorded 173 A.H. There is no evidence to say which of the three dates is correct, and so the scholars have decided that because the first and the second dates are so close together, the mourning for the death of this noble lady should be over a three day period (10th, 11th and 12th of Rabī` al-Thānī). This three day period is called: “ايّام معصوميّة” – “the days of Masuma”. Lady Fatima Masuma (A) was about 28 years old when she died, although some scholars have said that at the time of her death her age was 18 (from the mistake of the year of her birth - 183 A.H instead of 173 A.H) and others have said her age was 23, but this last narration is not very reliable, due to its weak chain of transmission. 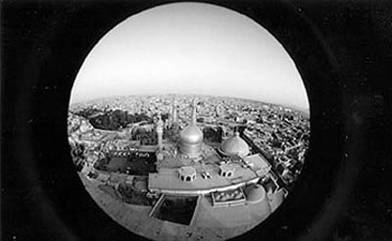 The father of Lady Fatima Masuma (A) was the 7th Imam – Imam Mūsā al-Kāđim (A). It has been recorded in history that Imam al-Kāđim (A) had numerous children. Fatima al-Kubrā is the very same Lady Fatima Masuma (A) buried in Qum. It is narrated that Fatima al-Wustā is buried in Isfahān and her Haram is called Sittī Fatima (near Chāhār Sūq Shīrāzī-hā). Fatima al-Sughrā is well known as “Bībī Heybat”. She is buried in Azerbaijan,11 where the beautiful dome and gardens at her shrine were destroyed during the era of Communist Russia. In 173 A.H, Hārūn al-Rashīd became the Caliph. Six years later, on the 20th Shawwāl 179 A.H, he ordered Imam al-Kađim (A) to be arrested in Madina. At the time of his arrest, Imam (A) was in the state of prayers in the Prophet’s (S) mosque. After his arrest, he was brought to Iraq, where he was imprisoned in the dungeons of Baghdad. This is where the Imam (A) spent the rest of his life. The mother of Lady Fatima Masuma (A) was also the mother of the 8th Imam – Imam Ali al-Ridā (A) and she had no children other than these two. Lady Najmah was a slave from North Africa and was bought by Lady Hamīdah, the mother of Imam al-Kāđim (A). After she came into the house of the Ahl al-Bayt (A), she reached a high level of intellectual and spiritual excellence, with lessons and teachings from Lady Hamīdah. Lady Hamīdah narrates that one night she had a dream, where she saw the Prophet (S) and he said to her: ‘Make Najmah the wife of your son, Mūsā ibn Ja`far, so that soon the best of people in the world (Imam al-Ridā (A)) will be born from her.17 Lady Hamīdah acted upon this order, and so Najmah became the wife of Imam al-Kāđim (A) and later, the mother of Imam al-Ridā (A) and Lady Fatima Masuma (A). Tuktam: This was a popular name amongst the Arabs, and it was the name of the mother of Imam al-Ridā and Lady Fatima Masuma (A) at the time when she was bought as a slave. Although Lady Fatima Masuma (A) was born 25 years after Imam al-Ridā (A), the fact that they had the same mother and father, led to a special closeness between them. And it was due to this respect that the Imams (A) would name their children by these holy names, and usually more than one child had the fortune to have such a noble name. Especially so in the case of Imam al-Kāđim (A), who named four of his daughters Fatima, as mentioned previously. We know that the name of Lady Fatima Masuma (A) was Fatima (al-Kubrā). Masuma: The title of Masuma was given to this noble lady by her brother, Imam al-Ridā (A). It is worth noting that this title was awarded to her after her death and she was not referred to by this name during her life-time. This also nullifies the erroneous view that she died after her brother, Imam al-Ridā (A), on hearing the news of his death. Several scholars believe that some of the noble personalities from the household of the Prophet (S), such as Lady Zaynab (A), Hadrat `Abbās (A) and Lady Fatima Masuma (A), due to their proximity to the Ma`sūmīn (A) have acquired a high state of purity. Infallibility (al-`ismah) has two meanings: Infallible from error and infallible from sin. When speaking of the infallibility of the Ma`sūmīn (A), both these meanings apply, but when speaking about special and noble people, such as Lady Zaynab (A), Hadrat `Abbās (A) or Lady Fatima Masuma (A), the latter meaning of infallible from sin is meant. Here we do not have the space to discuss this issue, but we can mention that the Imams (A) never falsely praised anyone, and the fact that the Imam al-Ridā (A) gave the title of Masuma to his sister is proof that she deserved such a title. Karīmat Ahl al-Bayt: This title, meaning “the Noble one of the family of the Prophet (S)” was given to her by either Imam al-Bāqir (A) or Imam al-Sādiq (A) in a dream seen by Ayatollah Sayyid Mahmūd Mar`ashī Najafī, the author of Mashjirat al-`Ālawīyīn. This noble man was very interested in finding the exact location of the burial place of Lady Fatima Zahra (A), and for this purpose he spent 40 days supplicating, so that he could be privileged with this information. Therefore, the Imam (A) has placed the grave of Lady Fatima Masuma (A) in place of the grave of Lady Fatima Zahra (A), and so all the honour and grandeur that would have been accorded to the grave of Lady Fatima Zahra (A) should be given to the grave of Lady Fatima Masuma (A). On waking from his dream, the late Mar`ashī made an intention to travel to Qum with his family, in order to perform the pilgrimage of Lady Fatima Masuma (A) and he carried out this intention without any delay.27 He died in Najaf, in the year 1338 A.H.
Grand Ayatollah Sayyid Shahāb al-Dīn Marashī Najafī, the illustrious son of the late Mar`ashī, migrated to Iran in the year 1342 A.H. He often cited that one of the reasons for his emigration to Iran was the dream of his father. After a short stay in Tehran, he entered the seminary in Qum, al-Hawzah al-‘Ilmīyah, in the year 1343 A.H, and here he lived, in the proximity of the Karīmat of Ahl al-Bayt – Lady Fatima Masuma (A) – until his death in the year 1411 A.H.
For over sixty years, every morning, the late Shahāb al-Dīn Mar`ashī, was the first person to perform the pilgrimage of this noble lady. He would wait outside her shrine for the doors to be opened. Even during his final illness before his death, he requested to be carried to her shrine in order to perform her pilgrimage. 5. Taqīyah	10. Ukht al-Ridā. All of these ten titles can be found in her salutation (Ziyārat), which has been narrated by Shaykh Muhammad Ali Qummī in his book, Anwār al-Musha`sha`īn. This salutation for Lady Fatima Masuma (A) is other than the more famous one that has been narrated by `Allāmah Majlisī in Bihār al-Anwār, quoting from Imam al-Ridā (A). This tradition implies that the rewards and benefits awarded to a pilgrim are the same whether he does the pilgrimage of Lady Fatima Masuma (A) or Imam al-Ridā (A). Also, from this tradition, as discussed previously, we get the title of Masuma (infallible) that was given to this noble lady by Imam (A) himself. This narration also illustrates the high status of this noble lady, because her pilgrim is ensured entry into Heaven. This narration indicates the honour and position of Lady Fatima Masuma (A), who will be the means of intercession of the Shi`a of the Ahl al-Bayt (A) on the Day of Judgement. Although there have been other traditions by the Imams (A) stating that, through the intercession of the scholars and the martyrs, people will enter Heaven, never has a non-Ma`sum been specifically named for this intercession, as in the case of Lady Fatima Masuma (A). 4. The Ziyārat to Lady Fatima Masuma (A) that we have in our hand today has been narrated from Imam al-Ridā (A). Interestingly, no other non-Ma`sum has had an Imam dictate the text and manner of their Ziyārat other than Lady Fatima Masuma (A). Also, because we know that this Ziyārat has been narrated by the Imam (A) through a reliable tradition, the virtues of Lady Fatima Masuma (A) within it must be considered true. (may the blessings of Allah be on all of them). Peace be on You, O Daughter of the Messenger of Allah! Peace be on you, O Daughter of Fatima and Khadījah! Peace be on you, O Daughter of Hasan and Husain! Peace be on you, O Daughter of the Vicegerent of Allah! Peace be on you, O Sister of the Vicegerent of Allah! Peace be on you, O Aunt of the Vicegerent of Allah! The above relation given of Lady Fatima Masuma (A) shows the honourable family that this noble lady comes from and also her nobility due to being a ‘true’ child of the Prophet (S), Lady Khadījah al-Kubrā, Lady Fatima Zahra (A) and the Pure Imams (A). ii. In this Ziyārat, Imam al-Ridā (A) refers us to her for intercession, due to her nearness, status and special esteem in the eyes of Allah. i. it compares the status of Lady Fatima Masuma (A) to that of Lady Fatima Zahra (A), since it is the same phrase that the Prophet (S) also used. ii. the statement itself comes from an Imam (A) and that further emphasises the status of Lady Fatima Masuma (A). An infallible is always buried by an infallible. This incident in itself does not necessarily prove that Lady Fatima Masuma (A) was infallible, because the Imams (A) would take part in the burial rituals of many of their followers. However, it does indicate her high status, and the fact that the Imams (A) came from afar and took over the responsibility of her burial is worth noting. 8. The number of traditions from the Imams (A) on the virtues of Qum, (mentioned in section 4.5), due to the fact that this noble lady is buried here. There is no other place where a non-Ma`sum is buried, that has been mentioned so numerously. 9. The number of miracles, that have been narrated by scores of people, in different generations (mentioned in section 3.11) has not occurred in any other place where a Prophet (S) or Imam (A) is not buried, except for the shrine of Hadrat `Abbās (A) in Karbalā and Lady Zaynab (A) in Damascus. 10. The authentic traditions that have been narrated by this noble lady (mentioned in section 1.9) show her high degree of knowledge of the various Islamic sciences and the teachings and merits of the family of the Prophet (S), in addition to her other qualities. 1.8 - Why did Lady Fatima Masuma (A) not marry? ما كان لها كفو على ظهر الارض من آدم ومن دونه. The second reason is that the fear and anxiety caused by Hārūn’s government at that time was such that no-one dared to get close to the family of the Ahl al-Bayt (A). To marry one of the daughters of Imam al-Kāđim (A), and become his son in-law was considered too dangerous. We cannot determine with certainty why Lady Fatima Masuma (A) did not marry, however, we can be sure it was not due to the abandonment of marriage as a personal choice. One of the qualities of Lady Fatima Masuma (A) was her considerable knowledge of the various Islamic sciences and the teachings and merits of the family of the Prophet (S). She is counted amongst the highest rank of reliable narrators of traditions. Unfortunately, due to the oppressive rulers at her time, there was great restriction in narrating anything from the Ahl al-Bayt (A) and so a lot of material has been lost. Some of the traditions (ahādīth) which have been narrated by this noble lady, that have reached us, are given below, with their chain of transmission (sanad). ‘When I went to Mi`rāj (ascension to the Heavens), I entered Heaven, and there I saw a palace made of white pearls, the door of that palace was decorated with pearls and rubies, and on that door was hanging a curtain. I entered the palace, in it I saw a castle, made of red ‘Aqīq. It had a door of silver, decorated with green topaz and on that door was hanging a curtain. From the above traditions, narrated by Lady Fatima Masuma (A) with a reliable chain of narrators, we see that not only the men folk of the family of the Prophet (S) narrated traditions from the Prophet (S), but also the women of this family had a role in narrating his traditions. According to authentic traditions, during the year 179 A.H, Imam al-Kāđim (A) was arrested on the orders of Hārūn (the 5th Abbasid Caliph) and taken from Madina to Baghdad via Basra. In Baghdad, he was imprisoned and he remained in prison until his death in the year 183 A.H. This separation of Lady Fatima Masuma (A) from her father was very difficult for her. She longed to see her father again but this was not to be, because the family of the Imam (A) learnt of his death within the prisons of Baghdad about 4 years later. From the time of the imprisonment of her father, Lady Fatima Masuma (A) was under the guardianship of her brother, Imam al-Ridā (A), who was 25 years older than her. This lasted until the year 200 A.H, when he was summoned to Khurāsān by Ma’mūn. This guardianship was according to the will of their father, Imam al-Kāđim (A). Imam al-Ridā (A) was not only instructed to be the guardian of Lady Fatima Masuma (A) but also that of all the wives and daughters of Imam al-Kāđim (A). Fatima Masuma (A) spent the first six years of her life by the side of her noble father, which she utilised to the maximum, learning all she could from him. “One Friday, a number of Shi`a went to Madina to meet Imam al-Kāđim (A) to get some questions answered. But when they reached the house of the Imam (A), they were informed that he was away on a journey. They decided to write their questions on a piece of paper and entrust this to the family of the Imam (A), so that when he returned from his journey he could answer the questions. After a few days in Madina, the Shi`a decided to return home. Before their homeward journey, they passed by Imam’s (A) house to say their farewells and here they were given their paper back with all their questions answered. The replies to their queries had been provided by Lady Fatima Masuma (A), who at the time was only six years old. They left Madina satisfied with the answers. On their journey home, they happened to meet Imam al-Kāđim (A), who was returning to Madina. They related to the Imam (A) the events that had occurred. May her father be sacrificed for her. After benefiting for six years from the guardianship of her father, Lady Fatima Masuma (A) was then under the supervision of her brother for another 21 years. She took advantage of the opportunity to learn under another Imam (A). Indeed, she acquired such a high spiritual level that, after her passing away, her brother gave her the title of “Masuma" (the infallible). This was high praise indeed, especially from an Imam (A). 1. Bihār al-Anwār, vol. 60, p. 228; Majālis al-Mu’minīn, vol. 1, p. 83. 2. Bihār al-Anwār, vol. 48, p. 317 & vol. 60, p. 216 & vol. 102, p. 266. 3. Shaykh `Alī Namāzī, Mustadrak Safīnat al-Bihār, vol. 8, p. 257. 4. `Abbās Faid, Ganjīne-ye Athār-e Qum, vol. 1, p. 386. 5. Hasan ibn Muhammad Qummī, Tārikh-e Qadīm-e Qum, p. 213; Bihār al- Anwār, vol. 48, p. 290; Sayyid Muhsin Jabal `Āmilī, A`yān al-Shī`a, vol. 8, p. 391; Shaykh `Abbās Qummī, Muntahā al-Āmāl, vol. 2, p. 242; Sayyid Hasan al-Amīn, Dā’irat al-Ma`ārif, vol. 3, p. 231. 6. Mīr Abū Tālib Tabrīzī, Wasīlat al-Ma`sūmīn, p. 65; Sayyid Mahdī Mansūrī, Zindagāni-ye Hadrat-e Ma`sūma, p. 37, `Alī Akbar Mahdīpūr, Zindagāni-ye Karimah-ye Ahl al-Bayt, p. 105. 7. Mustadrak Safīnat al-Bihār, vol. 8, p. 257. 8. Shaykh Hurr ‘Āmilī, Risālat al-`Arabīyah al-‘Alawīyah, p. 11. 9. Shaykh Mufīd, Al-Irshād, Chapter on the life of Imam al-Kāđim (A). 10. Sibt ibn Jawzī, Tadhkirat al-Khawāss, p. 315. 11. Bihār al-Anwār, vol. 48, p. 317. 13. Shaykh Muhammad Taqī Tustarī, Tawārīkh al-Nabī wa al-Āl, p. 65. 14. Usūl al-Kāfī, vol. 1, p. 476; Al- Irshād, vol. 2, p. 215; `Alī bin Husain Mas`ūdī, Ithbāt al-Wasīyah, p. 161–169. 15. Tadhkirat al-Khawāss, p. 314. 16. Shaykh adūq, `Uyūn Akhbār al-Ridā, vol. 1, p. 14; Shaykh Tabarsī, I`lām al-Warā, p. 302; Shaykh Hurr ‘Āmilī, Ithbāt al-Hudāt, vol. 3, p. 233. 17. `Uyūn Akhbār al-Ridā, vol. 1, p. 17. 18. `Uyūn Akhbār al-Ridā, vol. 1, p. 14; I`lām al-Warā, p. 302; Ithbāt al-Hudāt, vol. 3, p. 233. 19. Usūl al-Kāfī, vol. 1, p. 486; `Uyūn Akhbār al-Ridā, vol. 1, p. 14; I`lām al-Warā, p. 302; Al-Irshād, vol. 2, p. 247. 20. Bihār al-Anwār, vol. 49, p. 4; `Uyūn al-Akhbār al-Ridā, vol.1, p. 14; Ithbāt al-Hudāt, vol.3, p. 233; Muhammad Ridā Hakīmī, A`yān al-Nisā’, p. 76. 21. Shaykh Muhammad bin Ya`qūb al-Kulaynī, Furū` al-Kāfī, vol. 6, p. 18; Shaykh adūq, Man Lā Yahduruh-u al-Faqīh, vol. 4 p. 269; Shaykh Tūsī, Tahdhīb al-Ahkām, vol. 7, p. 437. 22. Shaykh Tūsī, Al-Amālī, vol. 2 p. 69; Shaykh adūq, Ma`ānī al-Akhbār, p. 146; Usūl al-Kāfī, vol. 6, p. 19; `Uyūn Akhbār al-Ridā, vol. 2, p. 29; ahīfat al-Ridā, attributed to Imam al-Ridā (A) p. 88. 23. Furū` al-Kāfī, vol. 6, p. 19; Tahdhīb al-Ahkām, vol. 7, p. 438. 24. Furū` al-Kāfī, vol. 6, p. 48; Tahdhīb al-Ahkām, vol. 8, p. 112. 25. Nāsikh al-Tawārikh, vol. 3, p. 68; Rayāhīn al-Sharī`ah, vol. 5, p. 35. 27. Zindagāni-ye Karimah-ye Ahl al-Bayt, p. 44. 28. Nāsikh al-Tawārīkh, vol. 3, p. 68; Rayāhīn al-Sharī`a, vol. 5, p. 35. 29. Bihār al-Anwār, vol. 48, p. 317; vol. 60, p. 216 & vol. 102, p. 266. 30. Bihār al-Anwār, vol. 60, p. 228; Majālis al-Mu’minīn, vol. 1, p. 83. 31. Bihār al-Anwār, vol. 102, p. 267. “In the year 1295 A.H around the locality of Qum, there was a famine and drought, the sheep and cattle were dying. The people chose forty pious individuals, who were sent to the Haram of Lady Fatima Masuma (A) to pray for deliverance. The forty individuals prayed in the Haram for three days and nights and on the third night, one of the individuals saw the late Ayatollah Mirzā Qummī in a dream. The late Mirzā asked this individual, ‘what it was that they wanted’. He replied that they were praying for rain to get relief from the difficulty that they were experiencing. The late Mirzā answered: ‘Only for this you all have gathered here? This is nothing, I myself can resolve this. If you have needs such as these then come to us, but if you desire the intercession for all on the Day of Judgement, then appeal to Lady Fatima Masuma (A)’.” (Muhammad Ishtihārdī, Hadrat-e Ma`sūma – Fātima-ye Duvvum, pp. 178 & 179). 33. Bihār al-Anwār, vol. 43, pp. 86 & 88. 34. Zindagāni-ye Karimah-ye Ahl al-Bayt, pp. 63 & 64. The episode in which Imam (A) said this phrase has been discussed in section 1.10. 35. As discussed earlier, in section 1.6, this was related in a dream to the late Ayatollah Sayyid Mahmūd Mar`ashī Najafī by Imam al-Bāqir (A) or Imam al-ādiq (A), after his insistence on finding the exact location of the burial place of Lady Fatima Zahra (A). 36. Bihār al-Anwār, vol. 48, p. 290. This matter is explained in detail in section 2.4. 37. Shaykh Hurr al-‘Āmilī, Wasā’il al-Shī`ah, vol. 14, p. 3. 38. Wasā’il al-Shī`ah, vol. 14, pp. 7 & 8. 39. Wasā’il al-Shī`ah, vol. 14, pp. 117 & 118. 40. Usūl al-Kāfī, vol.1, p. 317. This matter is discussed in section 1.10. 41. Usūl al-Kāfī, vol. 1, p. 261. 42. Another reason that is sometimes given in answer to why Lady Fatima Masuma (A) did not marry, is from a weak tradition, in which it is narrated that, Ma’mūn, (the 7th Abbasid caliph), wanted to marry Lady Fatima Masuma (A) for his own political ends, and to avoid this catastrophe, she abandoned marriage altogether. Perhaps it is for this same reason that God did not allow Lady Fatima Masuma (A) to reach Khurāsān, where her brother was, because Ma’mūn might have forced her to marry him. (See Ghanjīne-ye Āthār-e Qum, vol. 1, p. 384). 43. `Allāmah Shaykh `Abd al-Husain Amīnī, Al-Ghadīr, vol. 1, p. 197. These traditions have also been reported by many Sunni scholars. 44. Bihār al-Anwār, vol. 68, pp. 76 & 77. 46. Muhammad bin Ahmad Chishtī Dāghistānī, Al-Lu’lu’at al-Thamīnat fī al-Athār al-Mu`an`anat al-Marwīyah, p. 217; Ghanjīne-ye Dāneshmandān, vol. 1, pp. 16 & 17. 47. Usūl al-Kāfī, vol.1, p. 317. 48. The son-in-law of Grand Ayatollah Sayyid Abū al-Qāsim al-Khū’ī. 49. Kashf al-La’ālī, vol. 7, p. 14. 50. Bihār al-Anwār, vol. 43, pp. 86 & 88. 51. Bihār al-Anwār, vol. 43, p. 88.